Although Dungeons & Dragons has always been a tabletop RPG first and foremost, they’ve never really shied away from board games. Whether it’s the ancient and revered Dungeon!, the old D&D Minis games with tiles and/or maps, DragonStrike (complete with VHS tape! ), or even my copy of Dungeons & Dragons Clue (“The wizard did it with the vorpal sword in the dragon’s lair! ), board game variants of D&D have always been there. In the past few years, it seems like Wizards of the Coast are pumping more out than ever before. In 2010, D&D came out with the “D&D Adventure System Cooperative Games” that started with Castle Ravenloft and ended with last October’s The Legend of Drizzt. 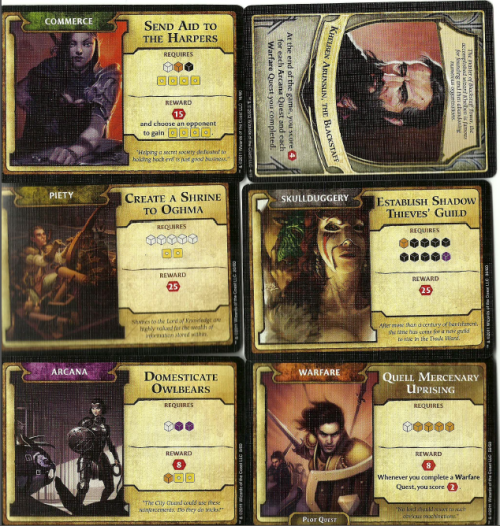 Also in 2011, WotC gave us Conquest of Nerath, a D&D gamethat felt like a deeper fantasy version of RISK. Now Wizards gives us Lords of Waterdeep, a euro-esque resource management game with similarities to The Settlers of Cataan, albeit it with its own D&D flavor. So it the newest D&D Board game worth picking up? Let’s take a look. Perhaps what most struck me about Lords of Waterdeep is that it is firmly set in Advanced Dungeons & Dragons 2nd Edition. I loved that. There are so many references here that I’ve missed. These range from the old Eye of the Beholder video game down to the Forgotten Realms and AD&D comics DC put out back in the early 90s. There are so many classic bits here from my youth, that the game can’t help but bring a smile to my face. In fact my only complaint is the art for poor Kyriani Agrivar. I have to assume from the cover and her “Lord of Waterdeep” card that the artists have never seen what she is supposed to look like as they got every detail as wrong as possible. Seriously, she carried her own comic for years. It’s not that hard to find a visual reference for her. That small quibble aside, I really liked this game. I’m not a big resource management game kind of guy. The few that I own and enjoy are things like Cults Across America, the aforementioned Settlers and Vampire: Prince of the City. It’s very rules light, with a twenty four page guide, albeit it a whopping ten pages of the guide are either art of a list of all the Lords and/or Building cards in the game. The rest of the game is simply playing as one of the eleven Lords of Waterdeep and trying to get your agents to complete quests, recruiting new adventurers to your stable or managing property. In fact, throughout my time with the game I couldn’t help but feel like this would make an excellent Shadowrun board game. Just change the time period and switch the Lords with Mr. Johnsons. Bam! You’re set. />So how does one play Lords of Waterdeep? Well, first you need between two and five people. From there each player picks their faction: The Knights of Shield, City Guard, Silverstars, Harpers or the Red Sashes. I was surprised all the groups were good aligned ones. I have expected to see the Xanathar Guild as an option. Of course, there is a sixth faction that will be introduced as a supplement down the road, so perhaps that’ll be them. After that, you are doled out agents based on the number of people playing. So a two player game would give each player four agents, while a five player game would only let people have two agents each. After that you’re randomly assigned one Lord card, and are dealt two Quest and two Intrigue cards per player and finally, three Building tiles are placed on the board. What does all this mean you ask? Well, let’s take a deeper look. Your Lord card is basically who you are playing as. The game rules say to assign one randomly instead of picking. That’s because each Lord has specific goals that are only unveiled at the end of the game. The goals are bonus points based on what type of quests you did. Although honestly, if everyone is in agreement and you have specific characters you like, I don’t see why you couldn’t outright pick. Doing so would change a bit of the game’s strategy as now instead of guessing who your opponents are, you’ll outright know. Your Lord choices are: Nymara Scheiron aka “Kitten,” Ninful Jalbuck, Mirt the Moneylender, Khelbun Arunsun, Kyriani Agrivar, Larissa Neathal, Brianne Byndraeth, Caldadorn Cassalanter, Sammereza Sulphontis, Piergeiron the Paladinson and Durnan the Wanderer. Man that gave my spellcheck a workout. As mentioned earlier, each Lord has two kinds of quests they get bonus points for at the end of the game. So for example, Brianne gets an extra four points for Arcana and Skullduggery quests, while Sammereza gets the extra points for Arcana and Commerce. In this case there would be competition for the Arcana quests as they come up. The quest is, how do you play it? If it’s obvious both need them, you’ll make an enemy, but if you use subtlety, you might actually get more than your fair share of that type. So now let’s talk about those Quest cards. There are five types: Arcana, Piety, Skullduggery, Warfare and Commerce. Every player gets Victory Points for completing quests, but remember, based on your Lord, you can get bonus points as well. Quest cards are either obtained randomly, like at the beginning of your hand, or deliberately by going to a location on the board called “Cliffwatch Inn” and picking one of the four face side up Quests. Each Quest card requires specific resources to complete them. These resources are a combination of four adventurer types (Cleric, Rogue, Warrior, Wizard) and/or gold. Once you have the right combo to complete a quest, you trade them in for the reward, which is always Victory Points, but occasionally something else as well. An example of a Quest card is “Build a Reputation in Skullport.” This is a Skullduggery card, so a character like Brianne would net extra Victory Points for completing this. In this card’s case you need four gold pieces, three rogues and a warrior to complete it. You amass these pieces over your turns ina round (or rounds) and them trade them in for the reward. Again in this case, you would get ten victory points and one intrigue card. There are also some special Quest cards that say “Plot Quest” on them. Complete these and you get an extra special unique bonus. In the case of the Warfare card, “Bolster Griffon Cavalry,” once you trade in four warriors and four gold, you not only get six Victory Points, but for the rest of the game you and you alone are able to draw an extra warrior any time you take an actions that nets you a warrior. So basically, it’s two warriors for the price of one…or three for the price of two. So on and so forth. So keep your eye out for Plot Quests and they can really change the tide in someone’s favor. So we’ve covered Lord cards and Quests. Next up are Intrigue cards. Remember, you get two of these at the start of the game and then others must be earned by completing quests or landing on a location that gives you a new Intrigue card. There’s a special catch with Intrigue cards though, as they can only be played on a single space in the game – Waterdeep Harbour. You’ll have to put a piece there to play an Intrigue card. As well, you can ONLY put a piece there to play an Intrigue card. So if you’re out of them, you can’t put an Agent there. Intrigue cards boil down to one of three effects. 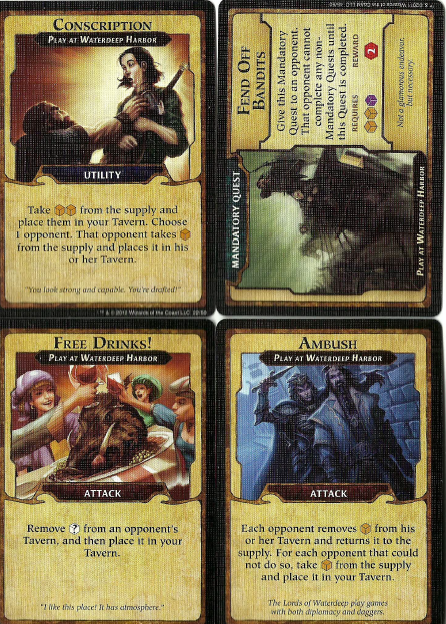 The first is “Attack.” Attack cards remove adventurers from the other players. The second type is “Mandatory Quest.” These cards force an opponent to do a small but annoying quest before they can proceed with any others. The final is Utility. Utility cards generally give you something, be it new adventurers, cards, buildings or money. Each of these crads can be quite powerful, so it’s just a matter of playing the right card at the right time. The only thing really left to talk about are the buildings. One each turn, a player places one of their agents on a building and after everyone has placed one, you go again until all agents are placed. Once an agent is placed, you get the item associate with that spot. It might be an adventurer, a card or something else. There are nine permanent buildings on the board, one of which is called the “Builder’s Hall.” Here three randomly chosen Building Tiles (out of the twenty four available) are shown face up. You can purchase one of these buildings and then place it, along with a marker for your faction on one of the ten open “Building” spots on the board. Then, whenever anyone chooses that spot, you get an Owner’s bonus. Let’s do an example. 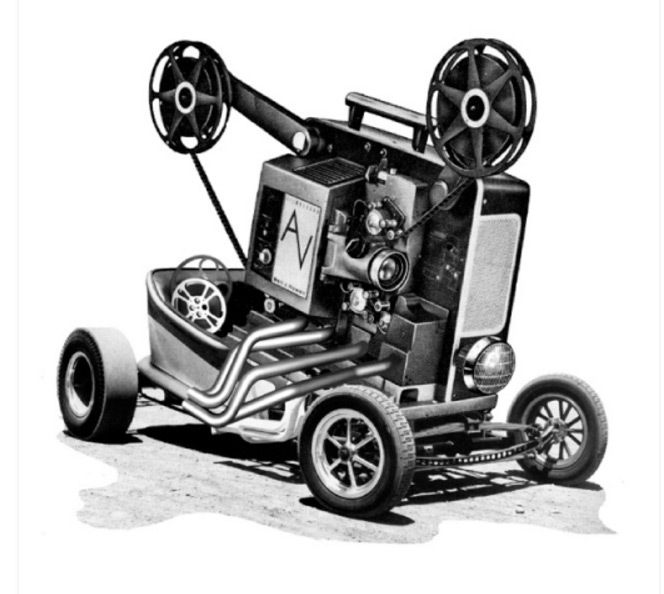 Let’s say I purchase “The Skulkway” for four gold. Once a round, whenever anyone lands on it, they will get two gold, a fighter and a rogue. If the owner places an agent on that, they get the bonus too. If a different player lands on it, I still get the owner reward, which is my choice of a rogue or fighter. The rules don’t say, but my assumption is that the owner doesn’t get both the regular bonus and the owner reward when he lands on his own piece. Surprised that wasn’t covered in the rules actually. …and that’s basically the game. Play order is determined by who travelled most recently to a different city. The most recent traveler gets to go first and then play is determined in a counter-clockwise fashion from there on. Who goes first in a round can change. Note that the later you go in the first round the more gold you get, but you are also at a slight disadvantage placement wise. Checks and balances. From there each player goes around putting one agent on the board at a time, collecting rewards, completing quests, playing cards and what have you, until everyone has placed one. Then you go again until all your agents are placed. After that the round is done. 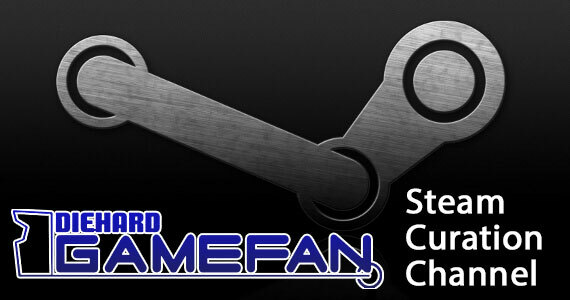 Continue for eight round and then add up victory points. The winner is the one with the most points. 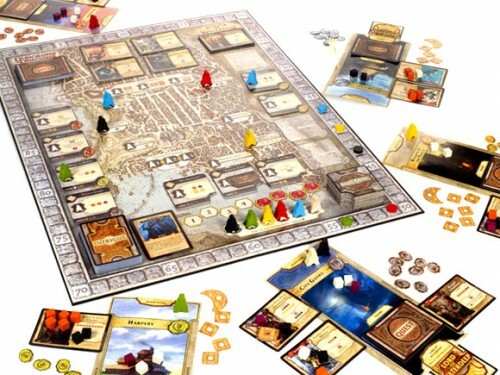 Lords of Waterdeep is a fairly simple game to learn, although it will take some time to find what strategy works best for you. There aren’t enough adventurer pieces and the game says this is on purpose, so expect to see a lot of fighting over the resources because once you’re out, the game specifically says not to use filler pieces. It is conceivably possible to hit a full out quest gridlock in a four or five person game because of this, at least for a round or two before someone hopefully pulls a card that steals adventurers away. Setup takes a bit, especially your first time playing as you punch out tokens, tiles and the like, but it’s nowhere as bad as Conquest of Nerath which can take half an hour (or more) to set up. 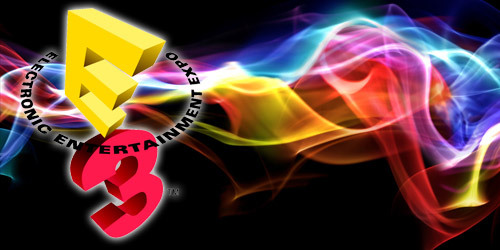 This is about fifteen minutes on your first playthrough and then five to eight minutes on future games. All in all, Lords of Waterdeep is a really fun game of political intrigue with a heavy dose of Dungeons & Dragons thrown in for good measure. I really enjoyed the premise and the flow of the game. The rules were quite clear and newcomers to the D&D license will find it much easier to learn that previous board games released during the 4e era. The fifty dollar price tag is a bit high; I can’t deny that. At least you can pick the thing up on Amazon.com for a hair over thirty dollars, which is a really good price for the game – not to mention $18.50 off the MSRP. 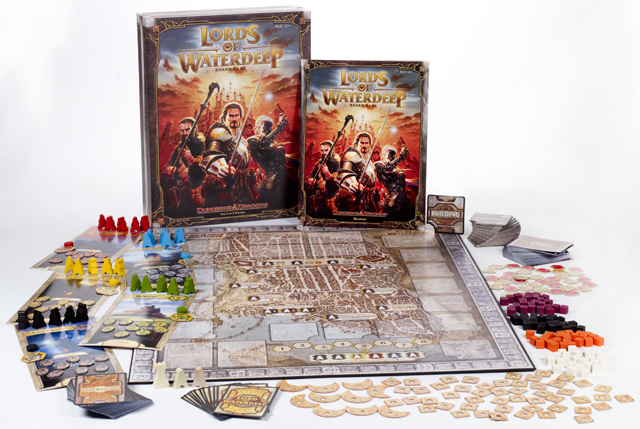 If you’re looking for a new board game for the family that sates your D&D craving with a nice Euro-style board game twist, definitely pick up Lords of Waterdeep. It’s my favorite D&D board game put out in the last few years.